My goal this year is to complete at least six UFOs (unfinished objects) this year. 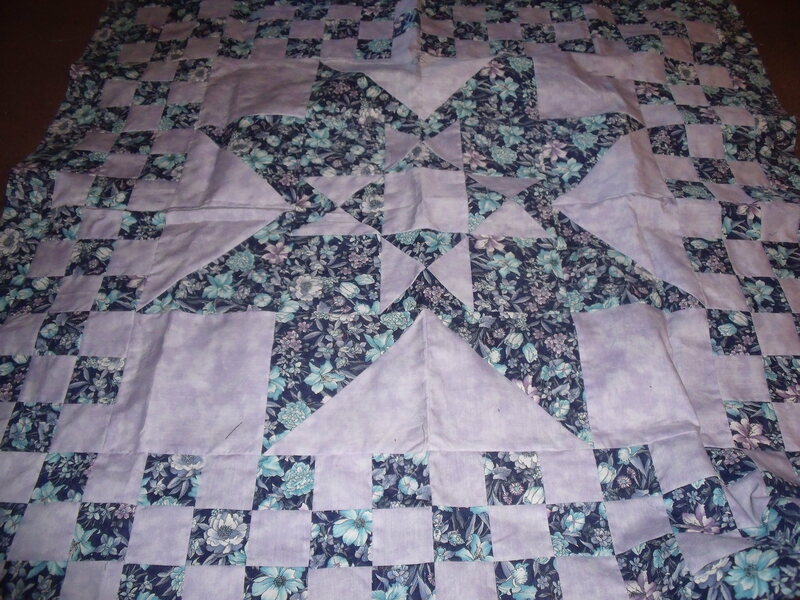 To do this I plan to send 4 or more off to a long-arm quilter and quilt 2 or more myself. 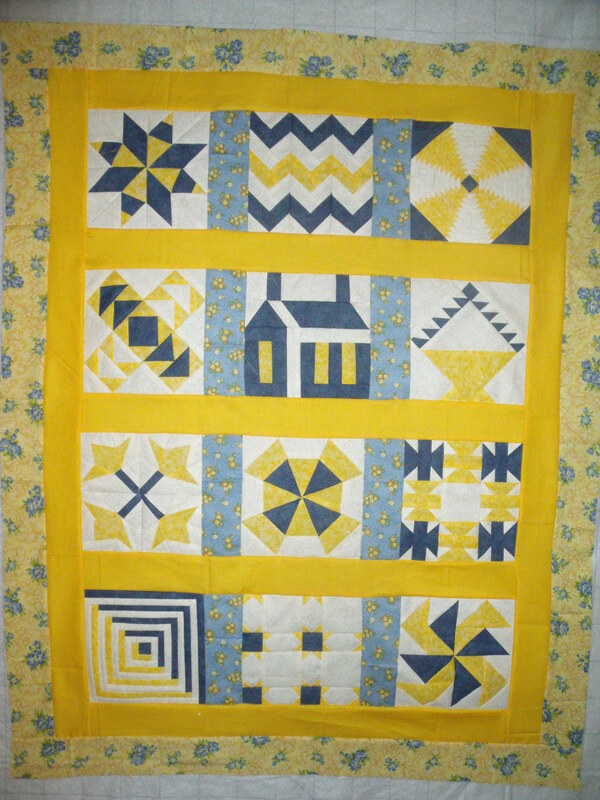 To that end, I have sent off 2 smallish quilts to Missouri Star Quilt Company to get it back in a couple of weeks. I have joined the UFO Quilt Along in June/July with Jennifer Ofenstein at Fandom In Stitches. 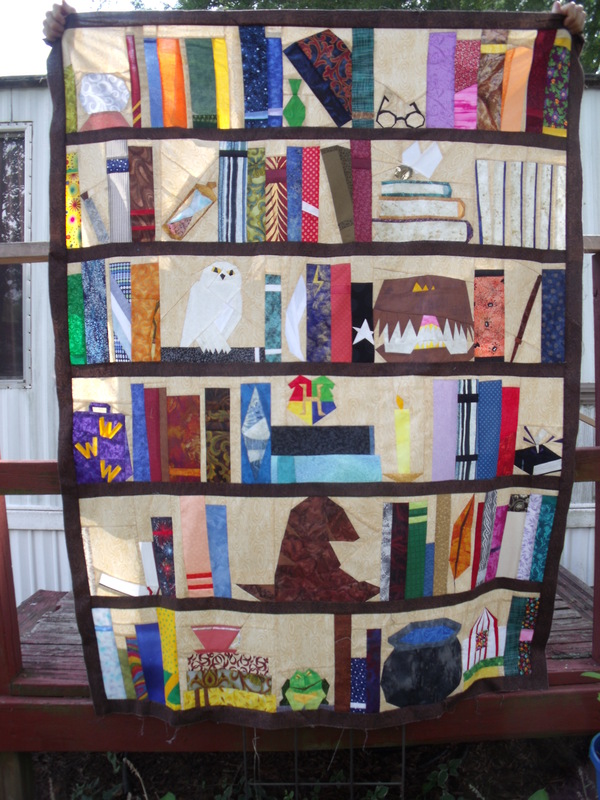 My plan is to complete the quilting on at least one of my Harry Potter bookcase quilts. These 3 should be done about mid-year. Then the next two quilts on my list are quilts for my sons. More on those at a later date. This entry was posted on 05/16/2017 at 11:14 am and is filed under Uncategorized. You can subscribe via RSS 2.0 feed to this post's comments. You can comment below, or link to this permanent URL from your own site. I love your goals. You can do it girl!